A classic view of the Wasdale fells seen from the shores of Wast Water. 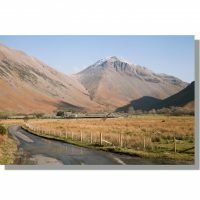 In winter the sun sets at the mouth of Wasdale, illuminating the fells at the head of the valley: Yewbarrow, Great Gable and Lingmell. 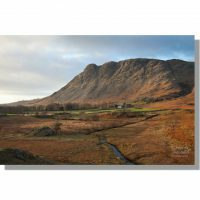 To buy a high quality print of 'Sunset over Wast Water', either with or without a frame, please click the above button. 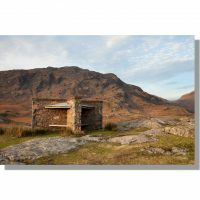 All photographs are securely packaged before being dispatched and are subject to a 30 day money back guarantee should you not be entirely happy with your purchase. Should you have any questions please contact me and I will reply as soon as possible.